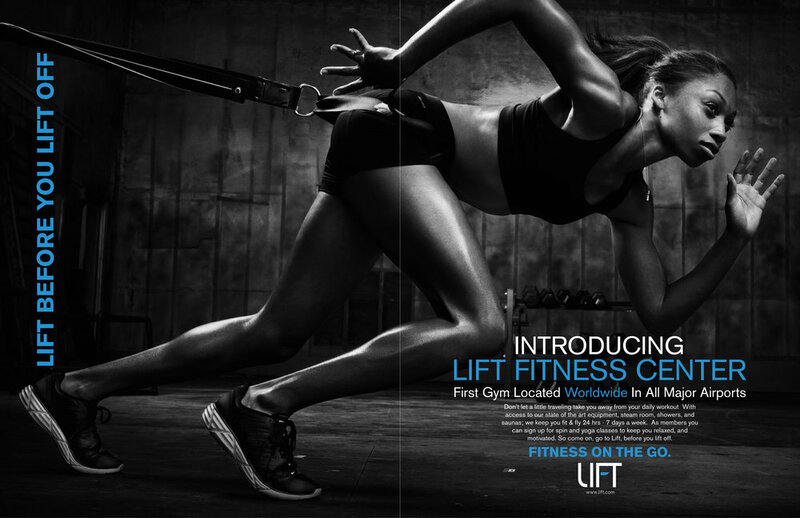 These ads were created for a campaign in which we had to work together in a group and pitch our brand to an actual client. I was the graphic designer of this project. 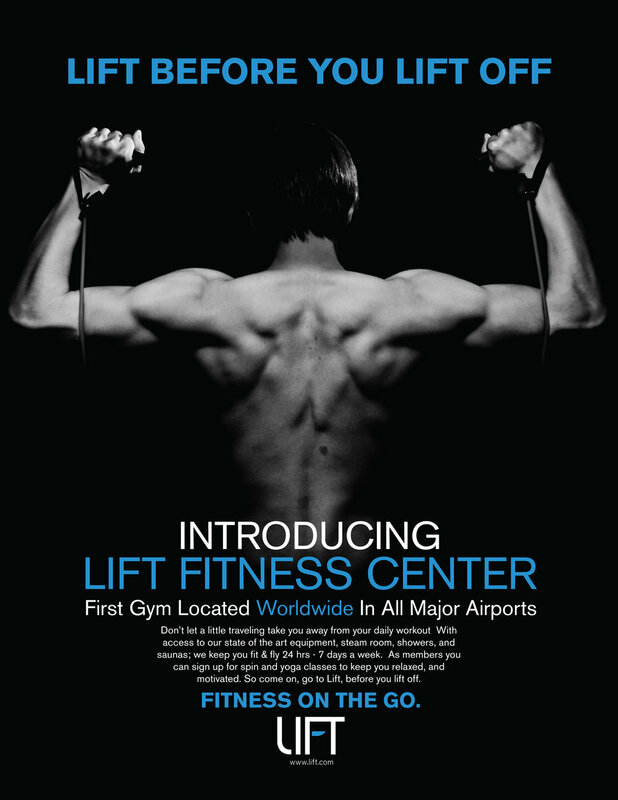 Our brand was named "Lift" and the idea was having a gym in an airport. I wanted to create something that had a very bold and strong feeling to it, which would appeal to a young audience.